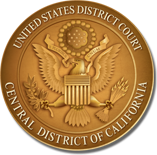 The Central District of California offers three Alternative Dispute Resolution (ADR) options: 1) a settlement conference with the district judge or magistrate judge assigned to the case; 2) a mediation with a neutral selected from the Court Mediation Panel; and 3) private mediation. Civil L.R. 16-15.4; General Order 11-10. Unless exempted by the trial judge, the parties in every civil case must participate in one of these three ADR Procedures. Civil L.R. 16-15.1. In the report required under Federal Rule of Civil Procedure 26(f), which is filed in advance of the Initial Scheduling Conference, the parties must advise the Court which ADR Procedure is best suited to their case and when the ADR session should occur. See Civil L.R. 26-1(c). If a "Notice to Parties of Court-Directed ADR Program" (Form ADR-08) is issued at the time of the filing of the complaint, the case has been assigned to a judge who participates in the Court-Directed ADR Program. Click here to see the list of participating judges. In those cases that are not in the Court-Directed ADR Program, counsel must file a “Request: ADR Procedure Selection” (ADR-01) with their Fed.R.Civ.P. 26(f) Report. See General Order 11-10, § 6.2. This form may also be used when the parties want to request a different ADR Procedure or when the Court has not yet entered an Order/Referral to ADR. After considering the parties’ Fed.R.Civ.P. 26(f) Report, the assigned judge will order/refer the case to one of the three ADR Procedures. The steps for implementing the three ADR Procedures are set forth below. For further information on the Court’s ADR Program, review Civil L.R. 16-15 and General Order 11-10. If ADR Procedure No. 1 (District/Magistrate Judge) is selected: If the assigned district judge or magistrate judge is to conduct a settlement conference, the parties must contact that judge’s courtroom deputy and arrange a date and time for the settlement conference. If ADR Procedure No. 2 (Mediation Panel) is selected: Under General Order 11-10, §3.8, the Panel Mediator volunteers his or her preparation time and the first three hours of the session. Thereafter, if the parties choose to continue the mediation, the Mediator may charge his or her market rate. The parties should first review the list of Panel Mediators on the Court website and confer regarding a Mediator upon whom they can agree. There are two lists: one, alphabetical by Panel Mediator and the other, by area of law. The website also contains professional profiles of the Panel Mediators. When the parties have agreed upon a Mediator, counsel with familiarity with the case must call the Mediator to obtain his or her consent to mediate the case within the time allowed by the Court. Counsel then e-file a Stipulation Regarding Selection of Mediator (ADR-02). If the parties and the Panel Mediator have agreed upon a date for the mediation, they may include the date in the form ADR-02. The mediation date is optional. Soon after the form ADR-02 is filed, the ADR Program will e-file a Notice of Assignment of Mediator (ADR-11). If the parties cannot agree on a Panel Mediator, they should e-file an ADR-02 Stipulation requesting assignment of a Panel Mediator. The ADR Program will assign a Mediator from the area of law designated on the ADR-02 and e-file the Notice of Assignment of Mediator (ADR-11). Within thirty (30) days of the Notice of Assignment of Mediator, the Mediator will contact counsel to schedule the mediation. See General Order 11-10, §8.1. The Mediator will strive to schedule the mediation for the earliest possible date after the parties have had reasonable time to evaluate their case, thus minimizing the expense of the litigation. The mediation must be completed within the time-frame ordered by the assigned judge or, if no completion date has been ordered, no later than forty-five (45) days before the Final Pretrial Conference. See Civil L.R. 16-15.2. Within five days after the mediation session, the Mediator must e-file a Mediation Report (ADR-03). This Report advises the Court whether the case was completely settled at the mediation, partially settled, or if the parties were unable to reach an agreement. The Mediator will also advise the Court whether any party, representative or counsel failed to appear at the mediation and whether the Mediator contemplates any further facilitated discussions. Questions regarding the Mediation Panel should be directed to the ADR Program at (213) 894-2993. If ADR Procedure No. 3 (Private Mediation) is selected: The parties must make any necessary arrangements directly with the private mediator and file a notice with the Court naming the person who will conduct the mediation and indicating the mediation date.